Action Printing Ltd. in Prince Albert offers a variety of printing products for business and personal use. Our experienced printing team offers business cards, creating designs with your company logo, business contact information, branded colours, and any other design elements you choose. 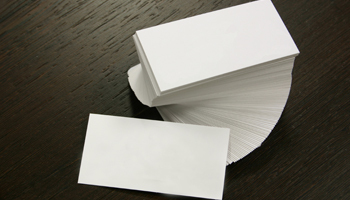 We offer the standard business card size, which is 3.5 x 2 inches, with room for a bleed area of 1/8 inch. Our business cards are printed on high quality paper, and all designs are approved by the client at each stage prior to printing. From large corporations to business cards for personal networking, we can create the perfect design that represents your brand and services. Action Printing also designs and prints business forms of all types, including business plans, consulting agreements, performance reviews, independent contractor agreements, job applications, job descriptions, and more. Whether you require forms with simple text and blank fields or you’re looking for a more creative layout, our designers will fulfill your needs. 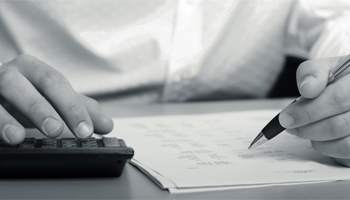 We also offer invoices, a convenient product for businesses in every industry. All invoices include the company logo, business contact information, and a custom designed layout for the item name, description, quantity, price, and total. We can create simple designs for banks and other serious businesses, or we can create more fun, colourful designs for mail subscription services and other creative companies. Action Printing will make the daunting, sometimes unpleasant task of invoicing more enjoyable by creating invoices with a dynamic layout. We also print posters in standard and computerized colour large format. Bring in a logo, photograph, or even a sketched drawing and we will incorporate your ideas, or start from scratch to design a poster using our expertise and equipment. We have high quality colour printers and the latest graphic design software to create posters for business or individual use. We have designed posters with fun images for personal use, movie posters, corporate advertising layouts, motivational quotes, and much more. Our experience, attention to detail, and personalized service ensures the possibilities are nearly endless. To create your personalized array of custom made products, contact Action Printing today to set up a design consultation.